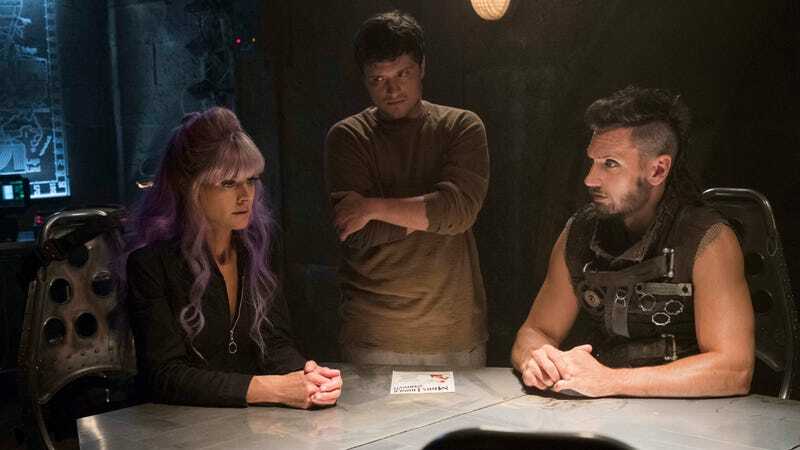 It looks like Hulu’s Future Man doesn’t have much of a future, man, as The Hollywood Reporter says that the sci-fi comedy series will be ending after one more season. This will be Future Man’s third season, and unlike the 13-episode orders for the first two seasons, it will be getting a slightly abbreviated order of just eight episodes. THR implies that the decision to end the show is related to executive producers Seth Rogen and Evan Goldberg taking their development deal with Sony over to Lionsgate, since Future Man is produced by Sony TV. Rogen and Goldberg’s Preacher, which also comes from Sony TV, was also canceled this week. The series stars Josh Hutcherson as a regular guy in the present day who gets drafted into a future war by Eliza Coupe and Derek Wilson after he does really well in a video game—a genre trope that is directly addressed by the show. A premiere date for the third season hasn’t been announced, but season two just premiered a few months ago (so it’ll be a bit).